Mei Heong Yuen dessert ... never heard of ? How about the famous Farmer's brand peanuts? The peanuts which you will see almost everywhere during Chinese New Year ? 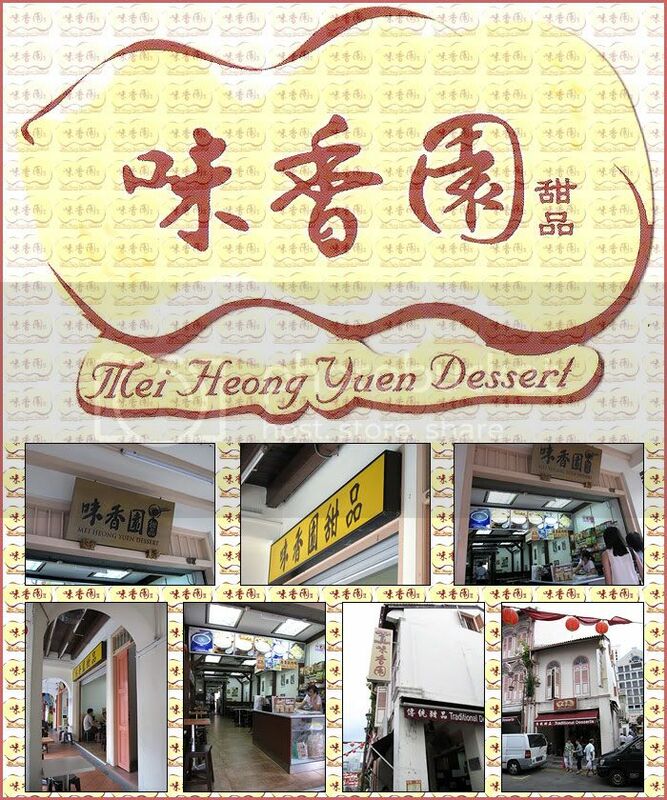 A popular Cantonese style desserts shop located along temple street in Chinatown. Run by two sisters which family owes the Farmer Brand peanut. This explains why their peanut paste is so good. 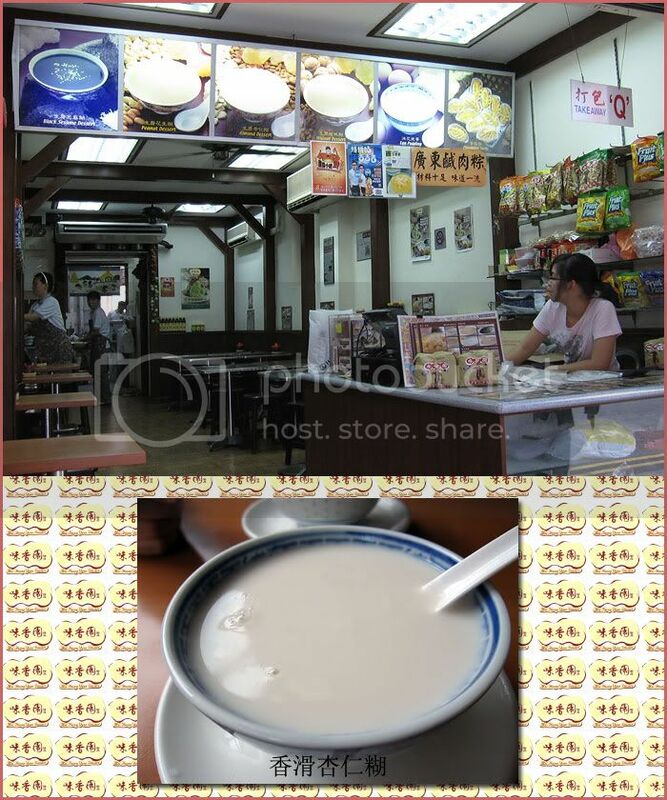 Famous for its traditional Chinese desserts and pastries, such as almond cream, walnut paste and sesame paste. My favourite is the almond paste. It is of the right density, not too watery nor bland. Their almond paste exudes a almond fragrance, not those which smelt like it's artificial. Though selling at $2.50 a bowl ... you will agreed it worth every cent after tasting it, an obvious difference in quality. Other desserts like their signature Mango with Pomelo and Sago and Herbal Jelly are cooling refreshers especially on a hot day. sitting on top of a little hill of crushed ice. 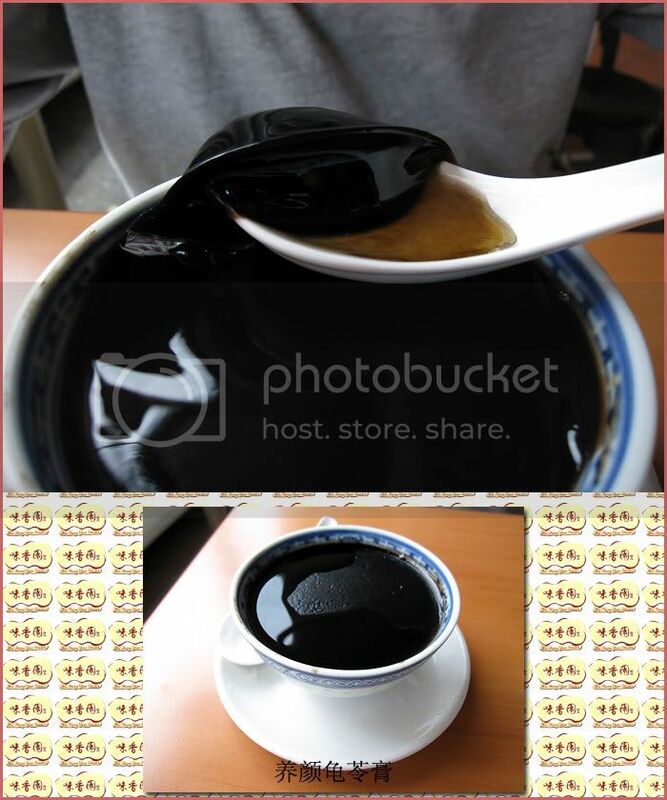 The Herbal Jelly is a great remedy for the heat. It's “cooling” and slightly bitter jelly is doused with smooth, sweet honey. Other must try are the steamed carrot, pumpkin and yam cakes ... are all delightfully soft and yummy for a light afternoon snack. Not forgetting the amazingly large Cantonese dumplings ! It's stuffed with a tasty filling of yellow beans, egg yolk, mushrooms and pork. Add a little sugar powder to it ... heavenly ... the best dumpling you'll ever find. Parking can be a big headaches and more often than not ... there is always a Q infront of the shop. Come Chinese New Year ... you have to Q for their pineapple tarts !